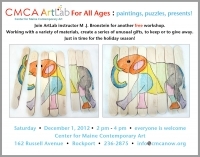 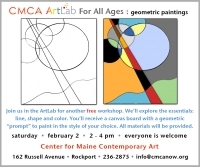 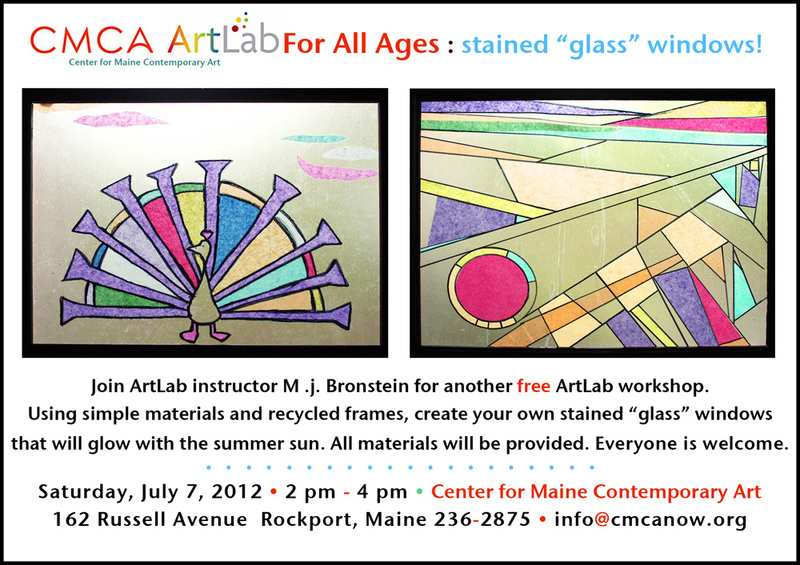 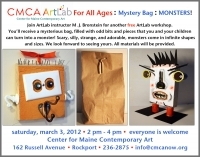 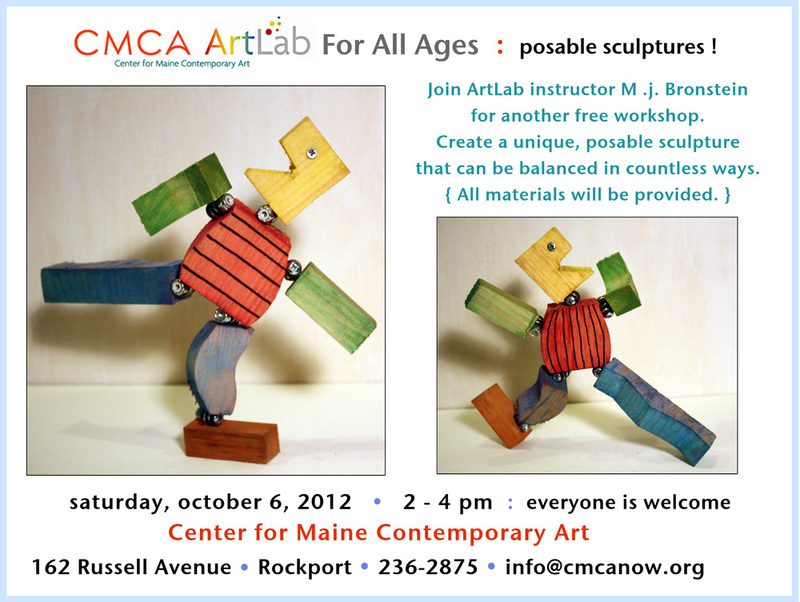 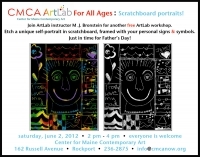 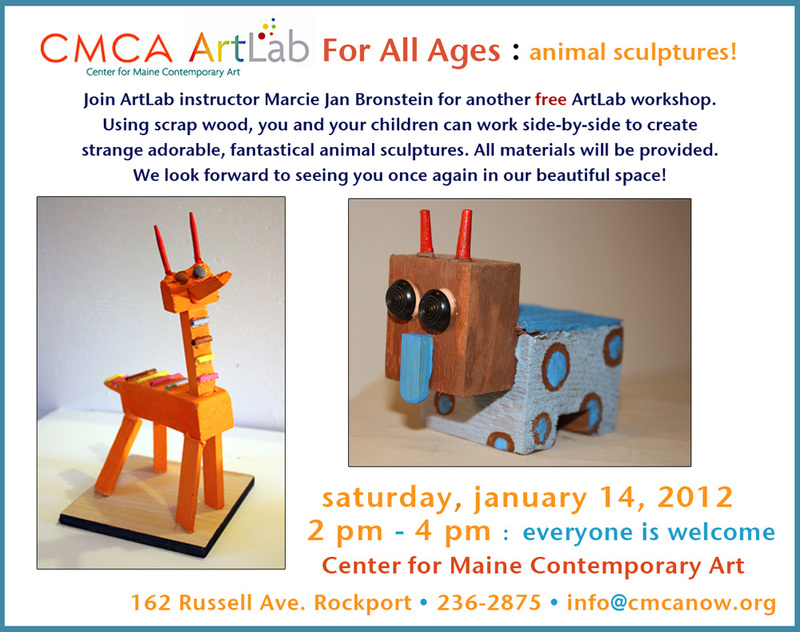 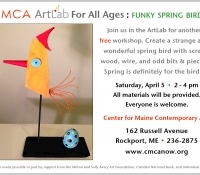 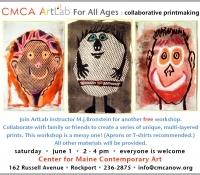 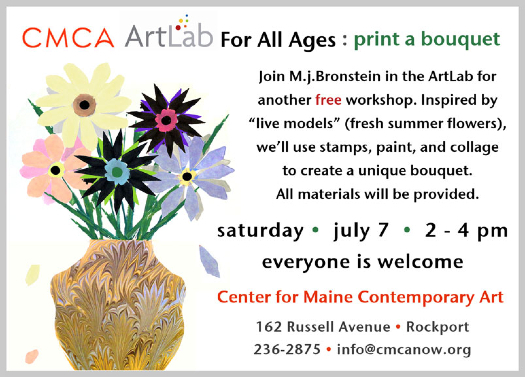 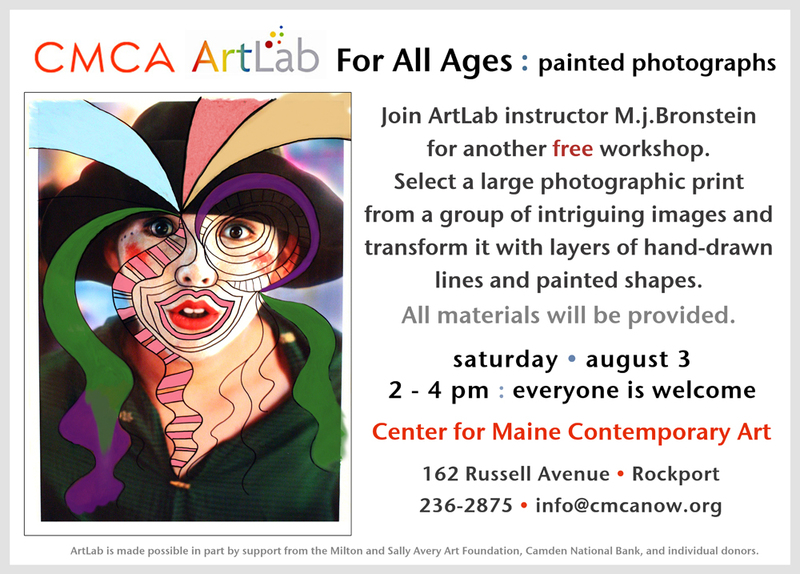 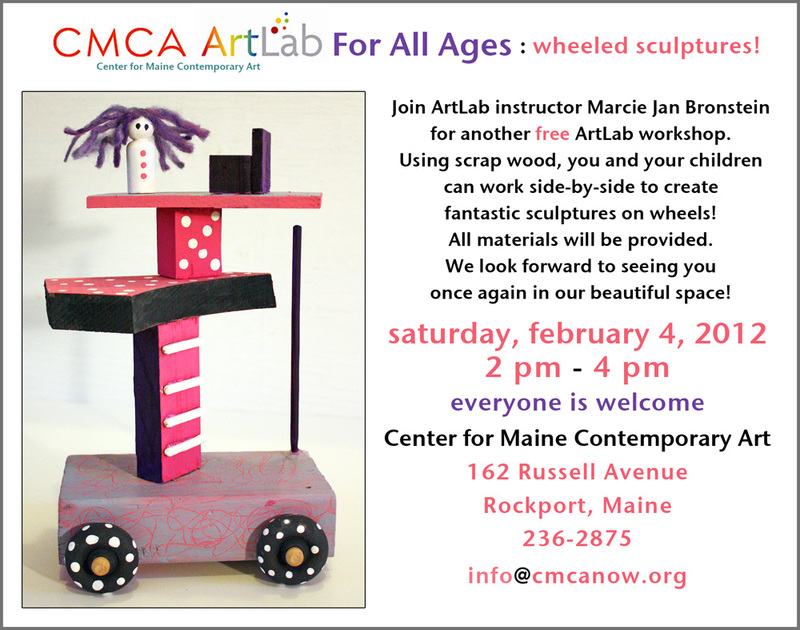 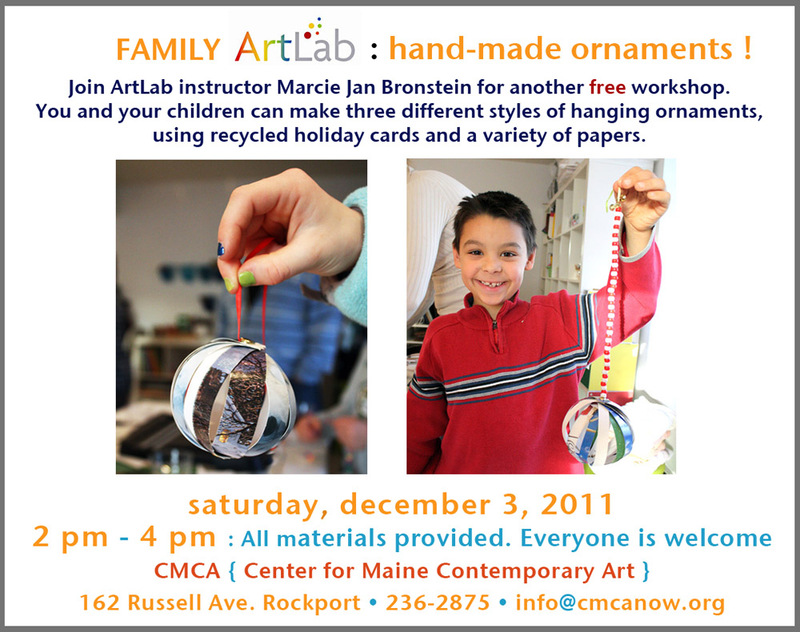 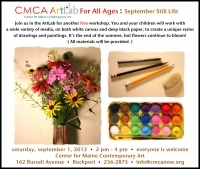 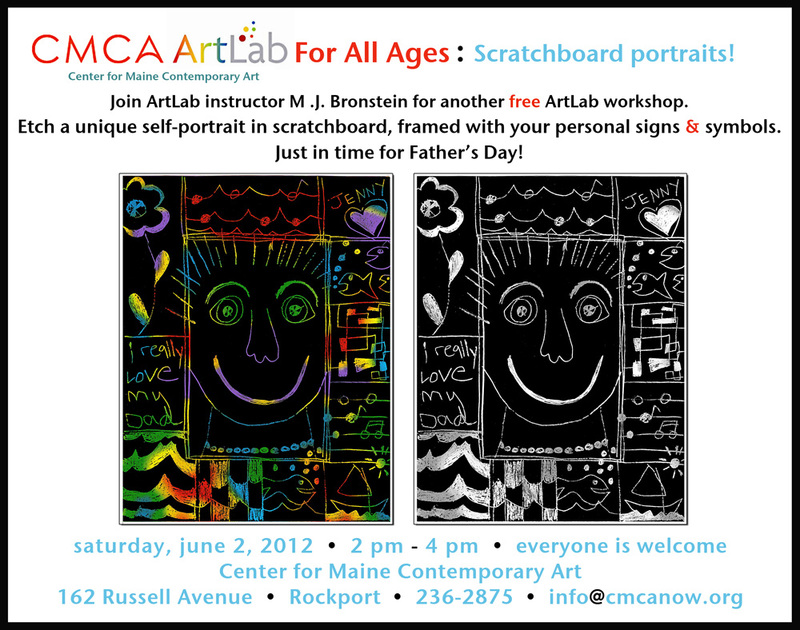 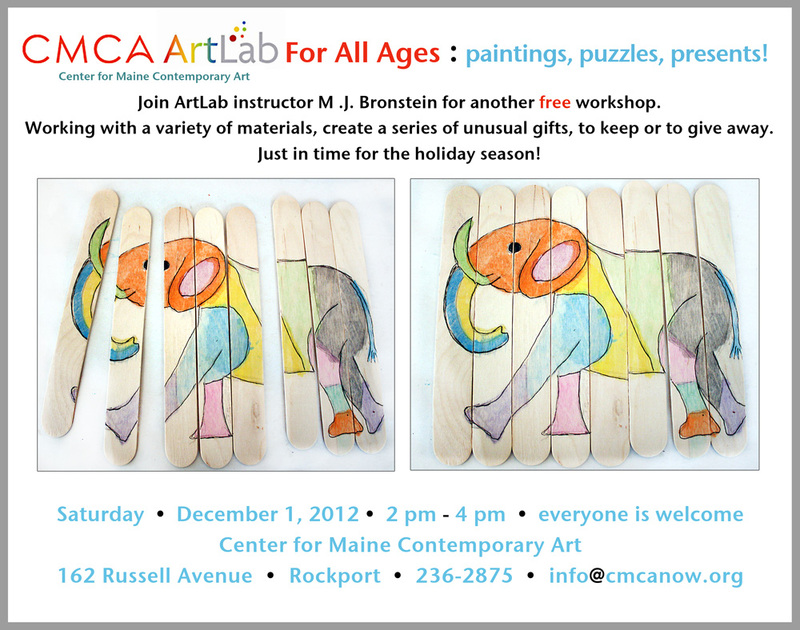 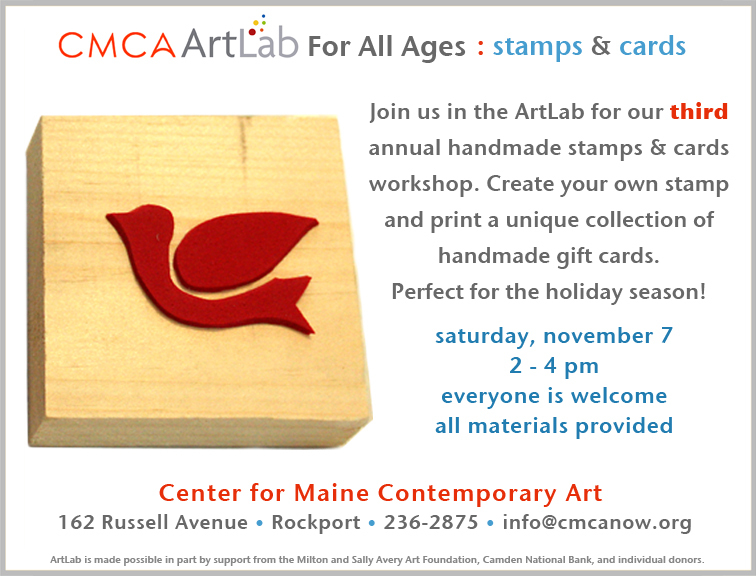 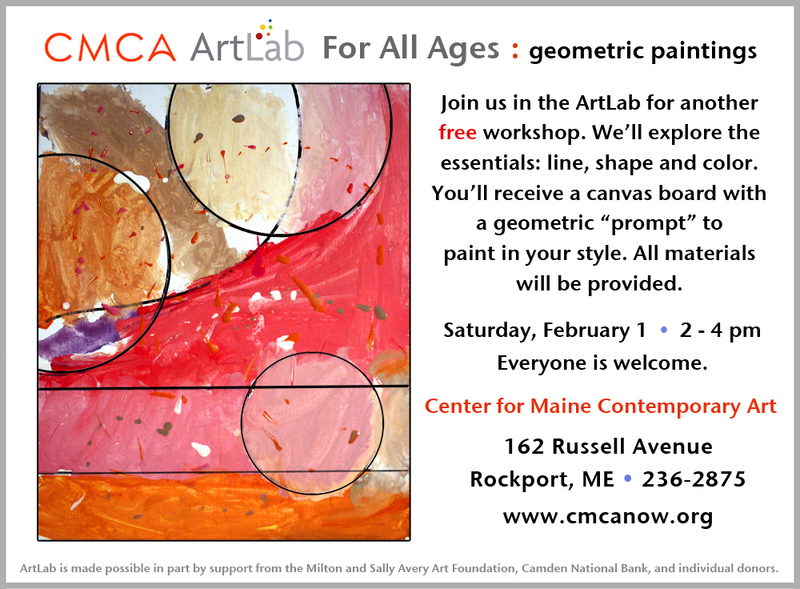 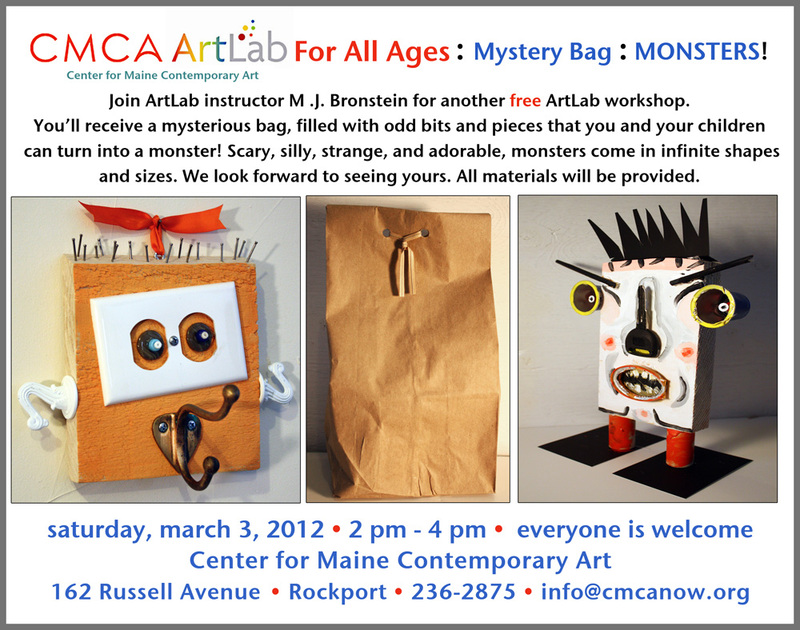 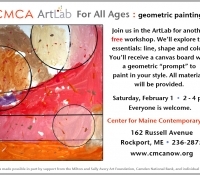 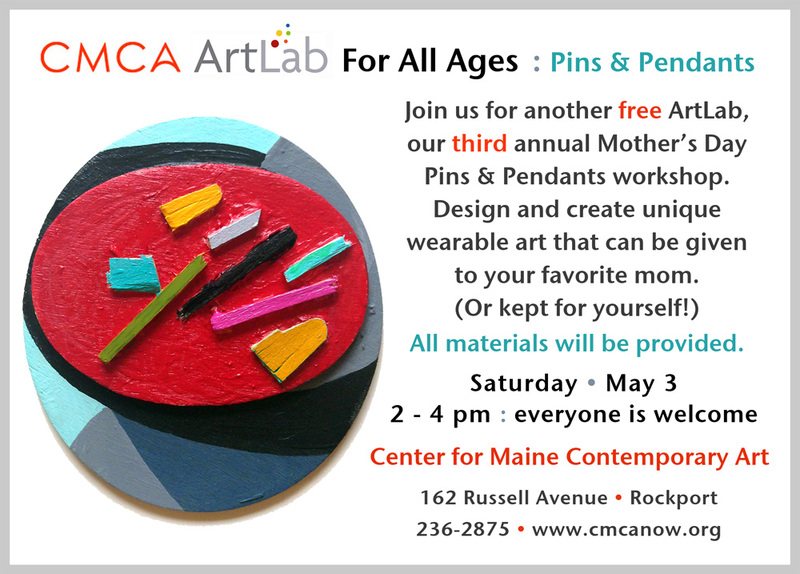 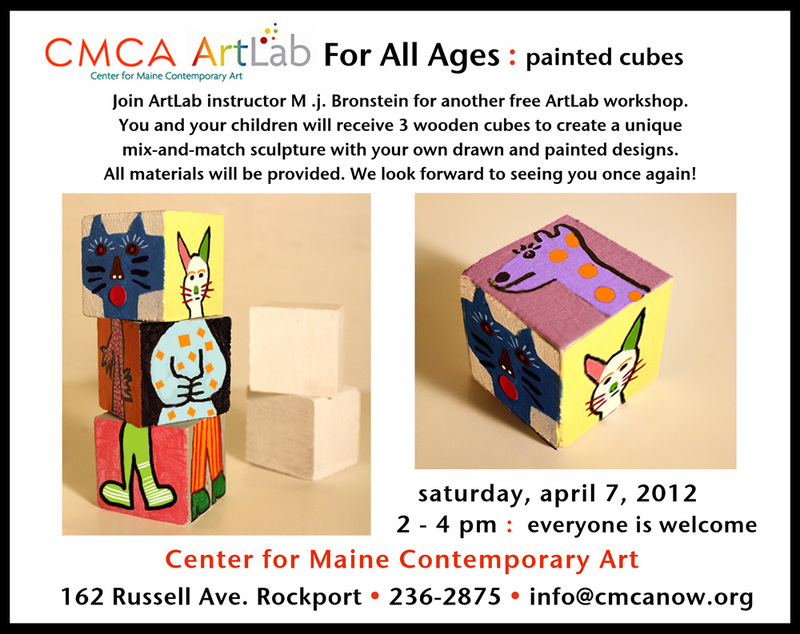 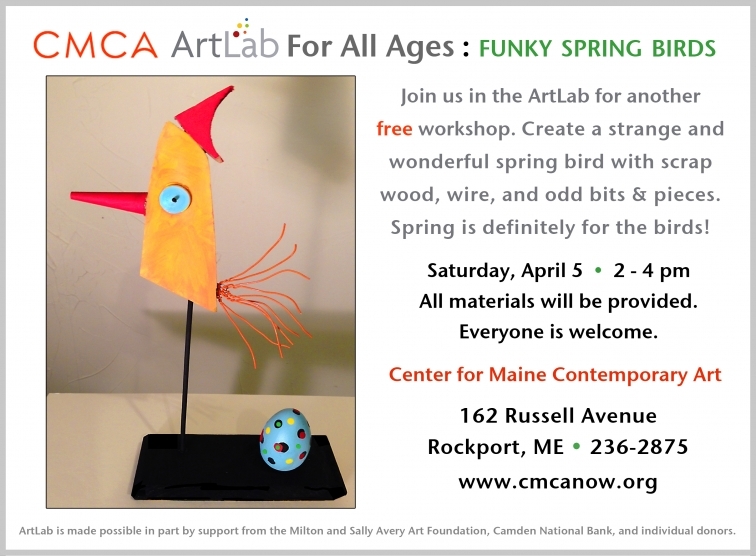 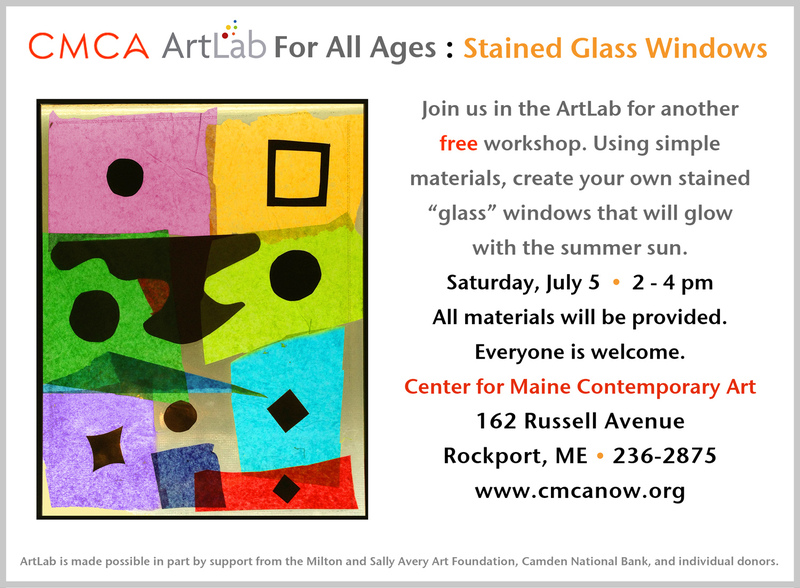 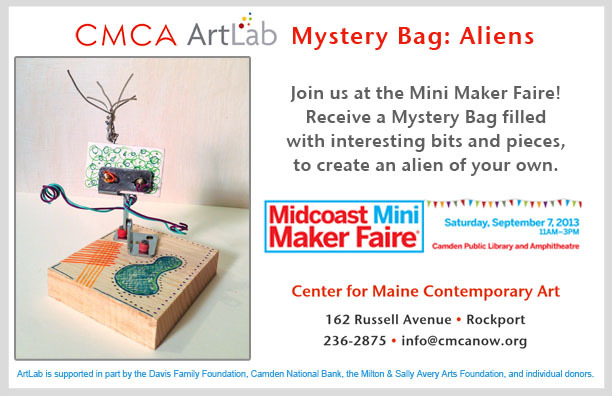 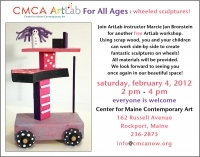 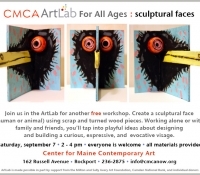 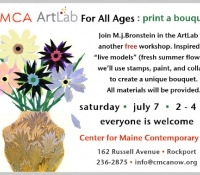 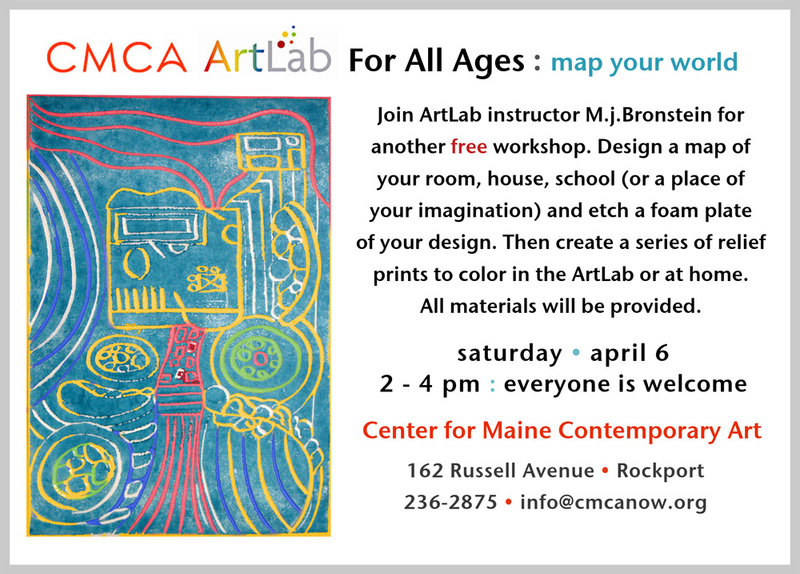 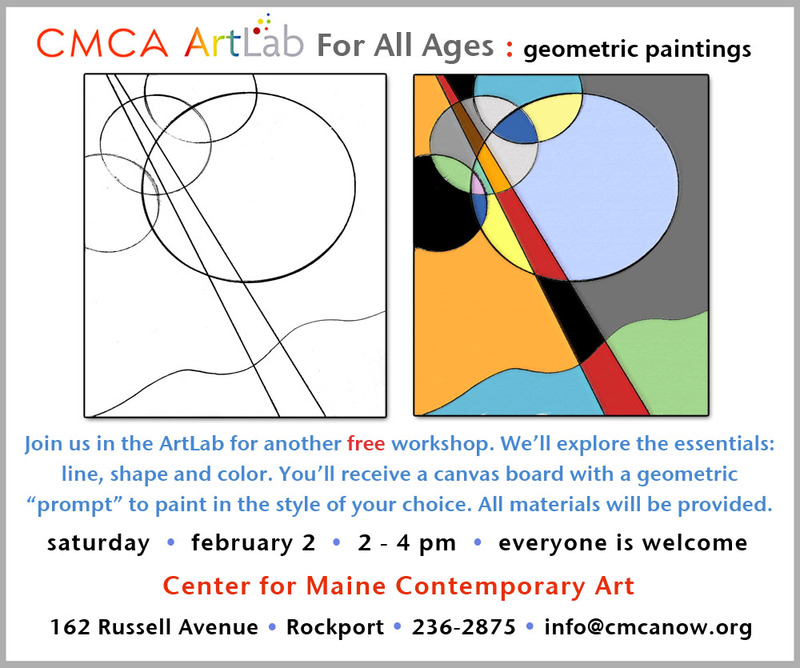 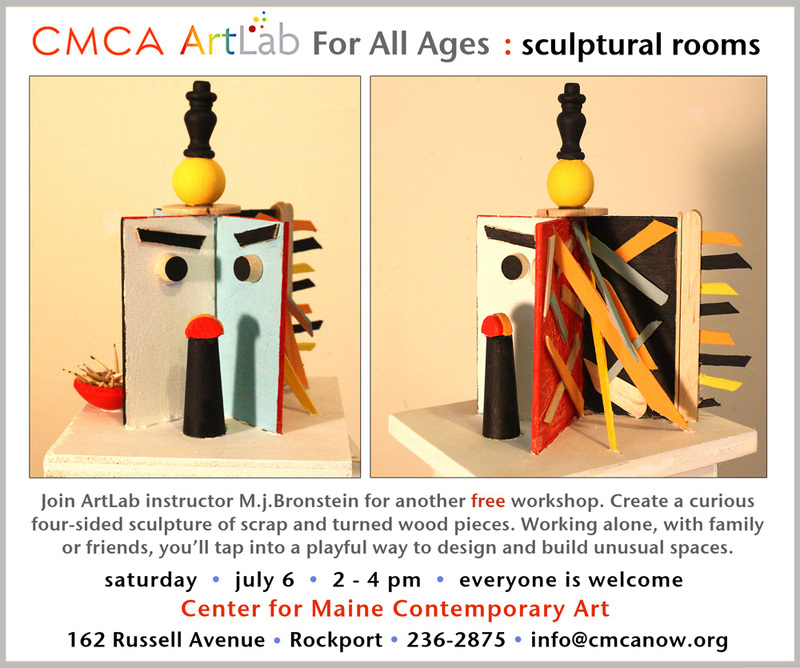 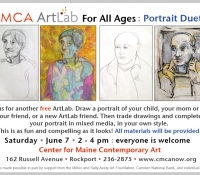 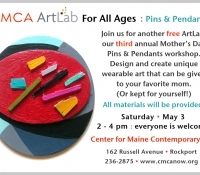 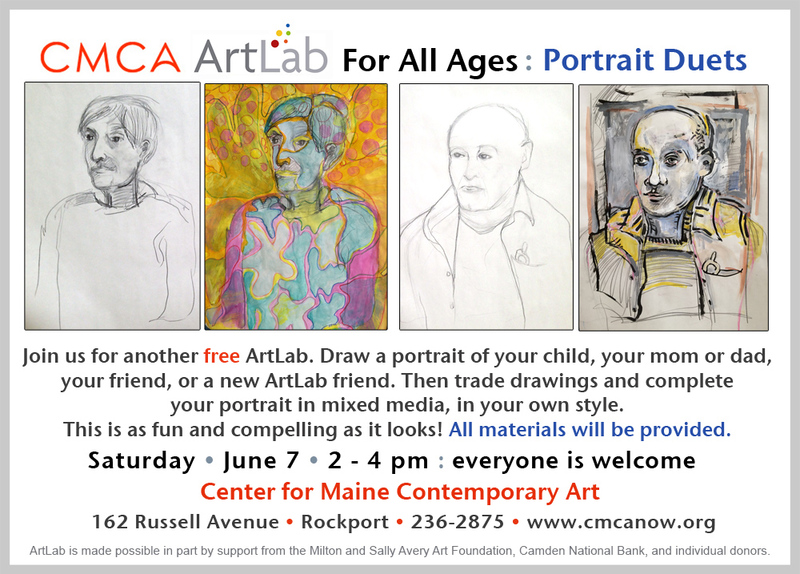 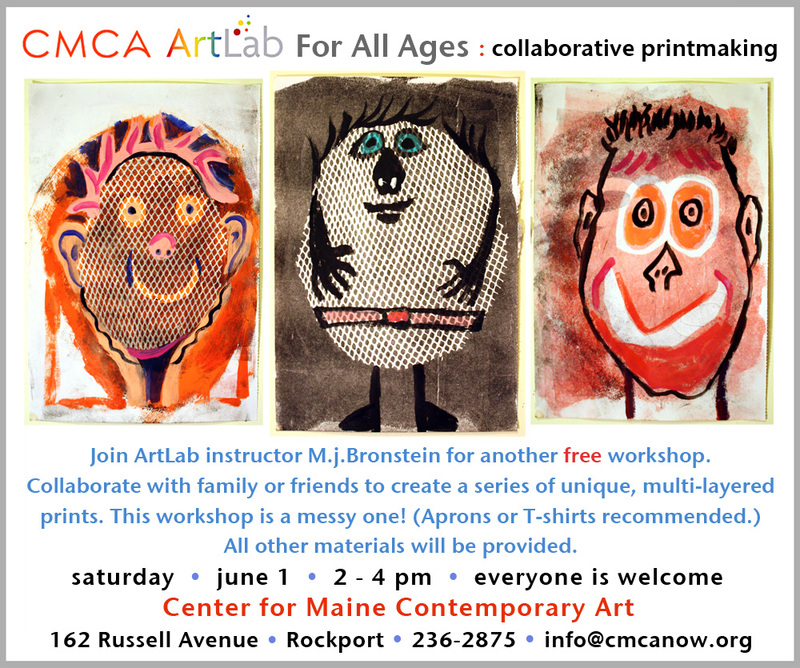 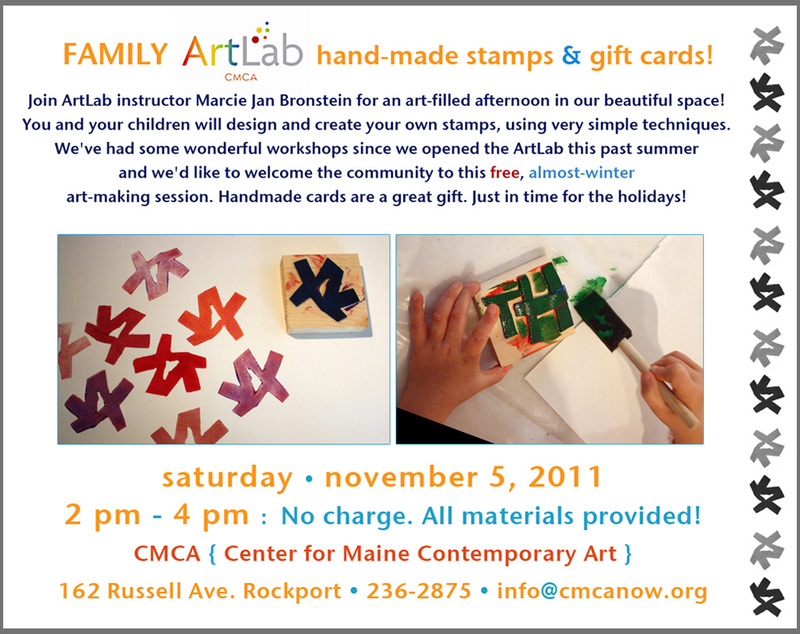 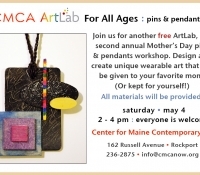 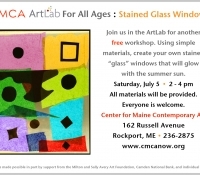 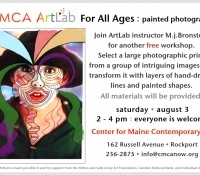 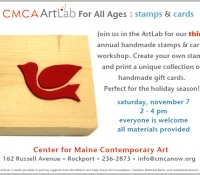 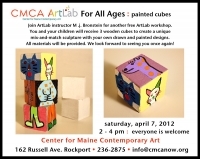 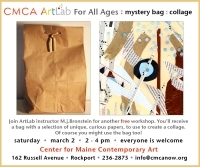 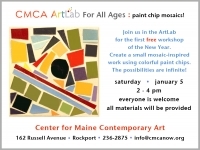 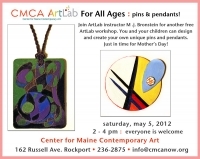 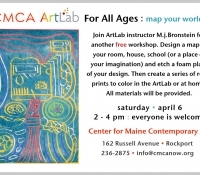 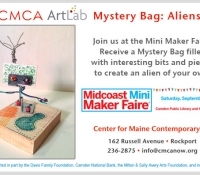 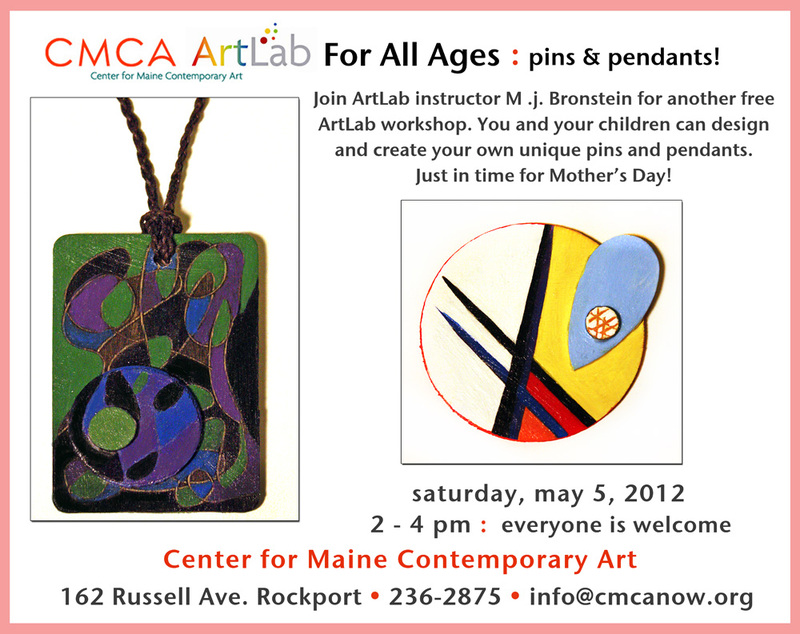 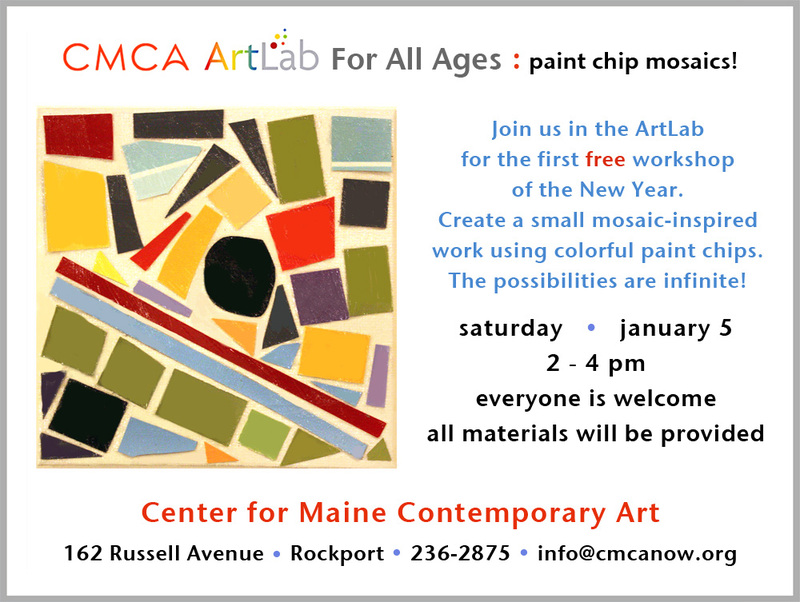 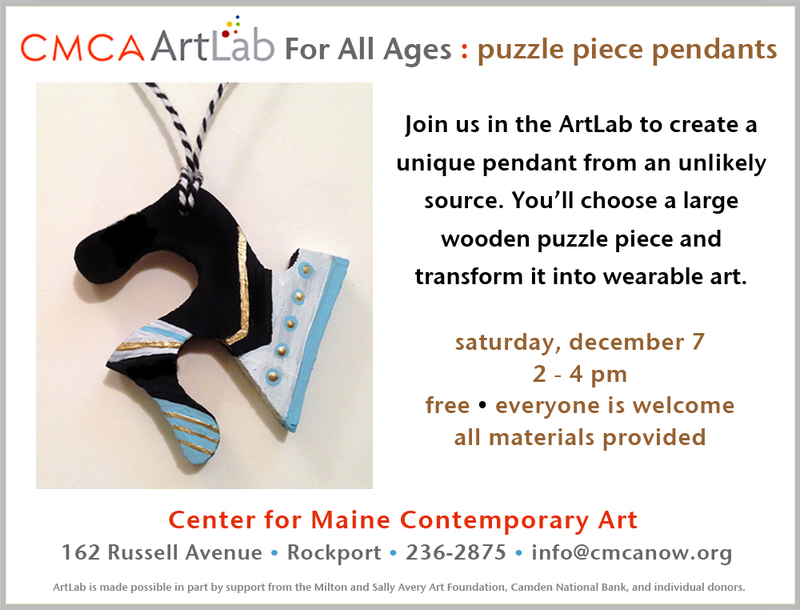 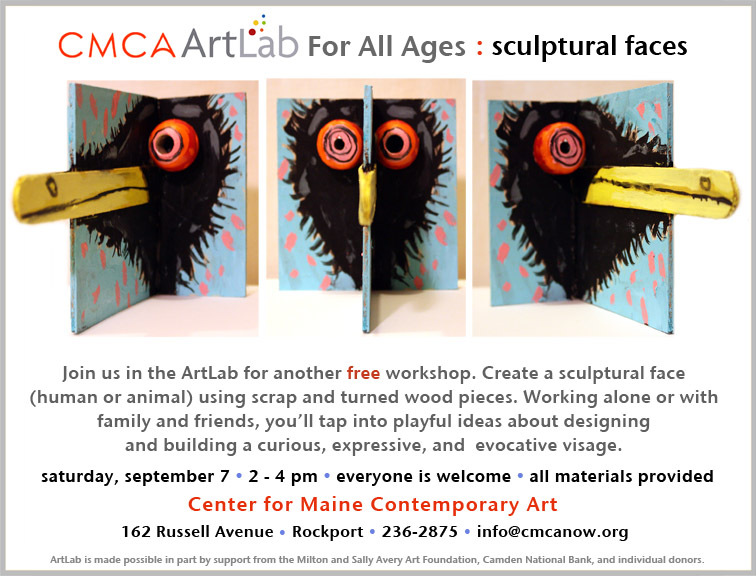 ArtLab for All Ages is a program I created in 2011 at the Center for Maine Contemporary Art in Rockport, Maine. 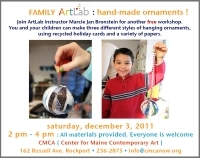 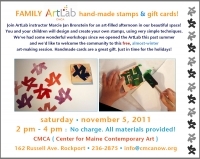 Workshops are year-round, the first Saturday of every month, 2:00 to 4:00 pm. 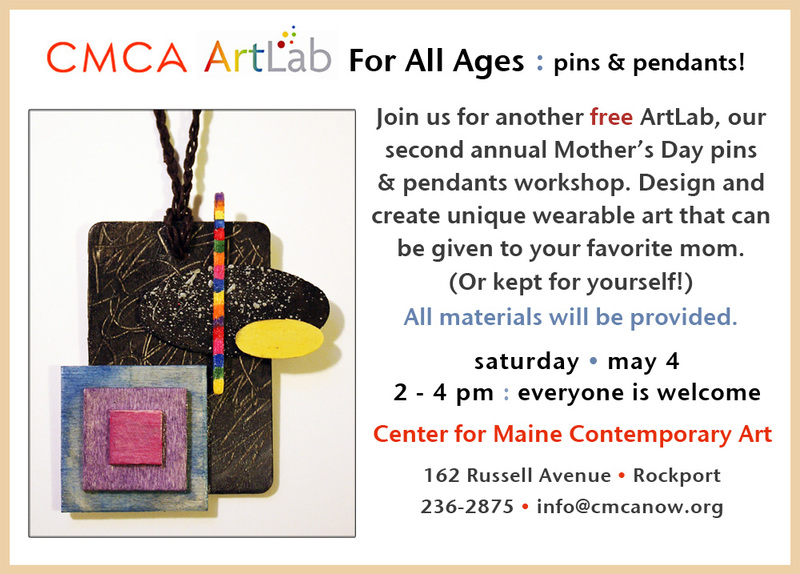 All materials are provided, everyone is welcome, and all workshops are free. 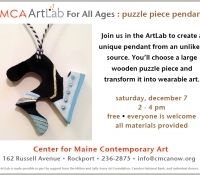 The program is all about inclusiveness and exploration: Open to people of all ages, and collaboration and experimentation with materials is encouraged. 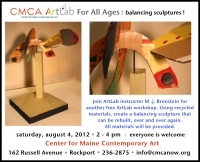 It’s a dynamic, open-ended approach to creating work in an atmosphere in which the imagination can soar. 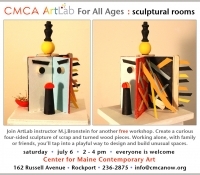 To see tons of photographs of completed ArtLab work, click around HERE.